The Alexander Radulov saga has come to an end today. Due to Montreal’s failure to secure a long-term deal with the big Russian, Dallas Stars have come swooping in. 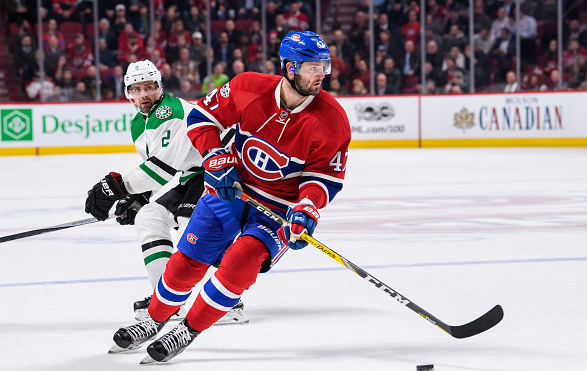 It was announced that Radulov has been signed on a five-year deal worth $31.25 million. Although one of the top free agents available, it has taken until July 3rd to secure a deal. It’s obvious that Dallas is putting a lot of faith into this deal, but just how much will it pay off? 2016-17 was undoubtedly Radulov’s ‘audition year’ to see if he still belonged at NHL level. To the man’s credit, he absolutely nailed it and his comeback was a joy to behold. By far the Habs biggest offensive threat, Radulov showed glimpses of a player who had the ability to thrill. A solid 54-point season was his most productive since 2007-08 for Nashville. So why were team’s reluctant to come forward on July 1st? When you sign Radulov, teams have to remember that you’re buying the whole package. To Dallas, he will bring goals, something this team was sorely lacking in outside of Tyler Seguin and Jamie Benn. What you need to remember (and what people have slightly forgotten) is the man is a character on and off the ice. When he played for Nashville he was frequently a thorn in the side of management. In 2008, despite having one year to run on his contract with the Predators, Radulov signed a deal with KHL team Salavat Yulaev Ufa. This move enraged Preds management and resulted in a 4-year stand-off. Suspended by the team, it wasn’t until 2012 he was allowed back. Unfortunately, his welcome quickly wore out when he was caught breaking curfew with teammate Andrei Kostitsyn the night before a playoff game in Arizona. Once more Radulov was shown the door by Nashville. Unquestionably, his play last season was to guarantee a future at the top level. For better or worse he is going to be an important asset for the Stars. But now that his future is secured, what’s to stop this from happening again? Montreal was keen to hold onto him long term and despite being a fan favourite he followed the money. His loyalty has already been called into question before and this is something Dallas has to keep in mind. Radulov is a great talent and he will bring an air of excitement to the flagging crowd at American Airlines Arena. Five years seems a big gamble for this type of player. There was a reason why teams didn’t immediately snap him up the moment UFA’s became available. Offensively he is dynamite when on form, but other NHL sides are not so eager about dealing with the repeated headaches. Does Dallas consider this a long term thing? Time will tell on that detail and who knows maybe Radulov is a changed man. Being one of highest paid guys in the locker room does make an ego grow though. Alex better tread carefully from now on, NHL fans have forgiven him once- next time he may not be so lucky!